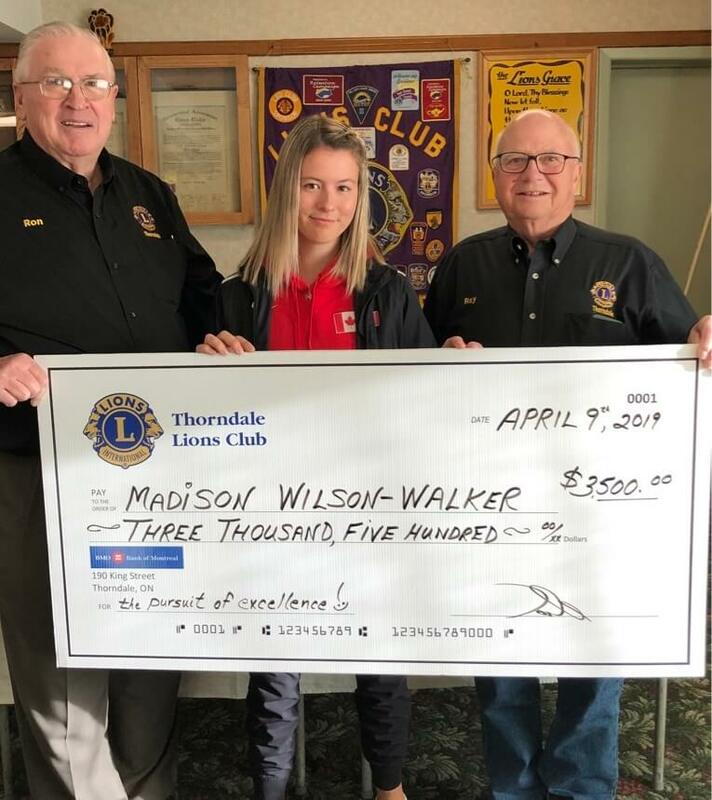 On April 9th the Thorndale Lions presented athlete Madison Wilson-Walker with a cheque for $3500 to assist in her journey to compete in the 2019 ParaPan Am Games and 2020 Paralympic Games. We wish you the best of luck Madie! A group of West Nissouri Public School students participated in the Effective Speaking contest at our February business meeting. All the students were great and a few will carry on to the next level. Congrats! Thanks to the generosity of our community, The Thorndale Lions and Thorndale Farm Supply collected 776 lbs. of non-perishable food items for the St. Marys and Dorchester Food Bank. Thank you to everyone who attended the Christmas Bingo. We had a fantastic turn out. On Nov.25th, we hosted our winter Lions breakfast. The turnout was great! Thanks to everyone who came. On Nov. 7th, Nathan Ferguson was inducted into the Thorndale Lions Club by Zone 4 Chair Lion Pam Harbottle. Lion John Ross was Nathan's sponsor. Welcome to the Club Lion Nathan! On Oct. 3rd the Thorndale Lions welcomed District A-1 Governor Lion Mary Mahovlich to our "Oktoberfest" dinner meeting. Also attending as guests were Bell River Lions Joyce and Mark Mahovlich. 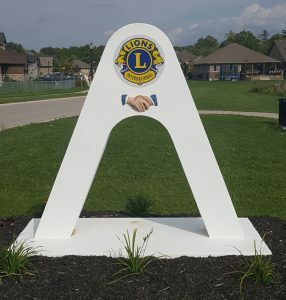 Concrete friendship arches are now available for purchase through the Thorndale Lions Club. The arch is 6' tall and the base is 4’x7’. Includes 2 reflective Lions International logos. Weight is approximately 3000 lbs. Congratulations to our April Trip a Month winner Charles Pickel. 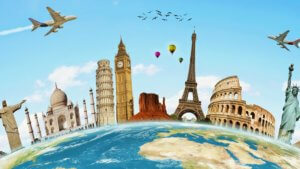 Next Trip a Month draw is May 3rd. Good luck everyone! Tickets for the Trip a Month 2019 draw are all sold! Good luck to everyone who purchased a ticket and thanks for your support! Check out our communication board on the edge of town! 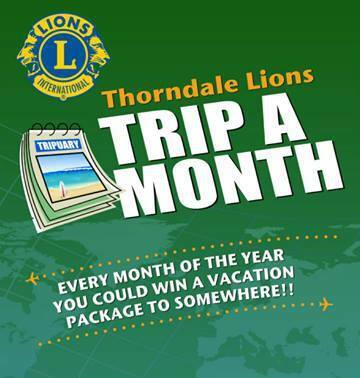 Thorndale Lions Club is part of District A-1. 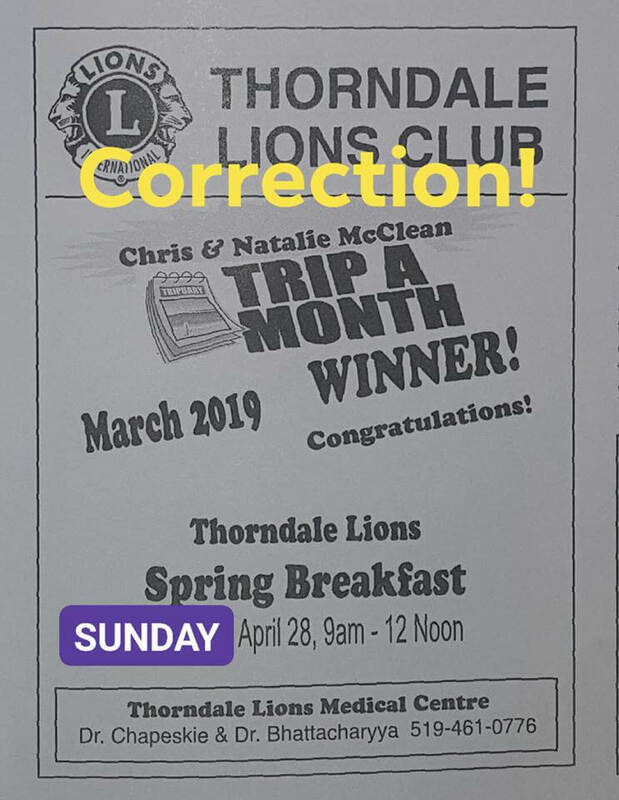 © 2019 Thorndale Lions Club. All Rights Reserved.